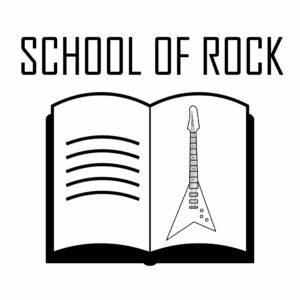 Monday, November 20th kicked off lesson 6 of the School Of Rock. Your rock n roll instructors opened up with a tribute to the late great Malcolm Young. 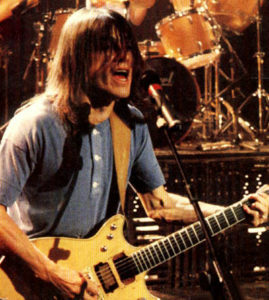 The rhythm guitarist and co founder of AC/DC passed away earlier last week at age of 64. Shoot to Thrill rang throughout the studio as we had a moment for Malcolm. A number of great songs followed, including the excellent live version of Take It Easy by The Eagles and Dancing in the Dark by the boss. To supplement our great taste in music a few relevant topics were discussed. Including best tasting cheap beer, and summer road trip songs. Luck Lager and anything by The Eagles was the conclusion. Another recurring theme on our show is playing songs from the Netflix hit show, Stranger Things. The science fiction show takes place in the early 80’s, so its only natural that the soundtrack is composed of groovy tunes from that era (Motley Crue, Ratt, etc..). Our pick from this great soundtrack was Earth Wind and Fire’s September. Feel free to send us song requests, we might just give you a shoutout! Rock on ladies and gentlemen.